Jasmine Tritten grew up in Denmark and studied art in Europe. 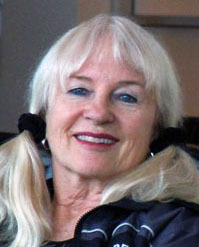 In 1964 she immigrated to the U.S. where she obtained a degree in Interior Design and later a Bachelor of Arts in Studio Art with a minor in English. Her second love is writing. She has been journaling since childhood. 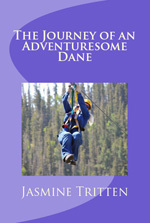 Her memoir, The Journey of an Adventuresome Dane, was published in 2015. 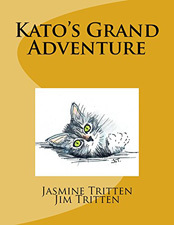 Jasmine’s children’s story Kato’s Grand Adventure, co-authored with her husband Jim, was published in 2018. 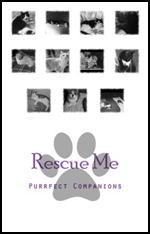 Kato initially appeared in the Corrales Writing Group 2014 Anthology (this book was awarded a Silver Medal by the Military Writers Society of America [MWSA]) and in two animal rescue fund raising anthologies: Rescue Me: Purrfect Companions, December 2016, and Write to Meow 2017. Her short story “Tornado Cookies” was published in the SouthWest Writers Sage Anthology (2018). 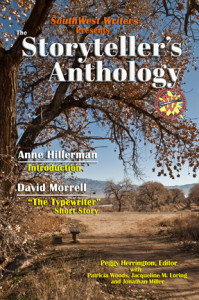 Slightly different versions of two memoir chapters “Mother’s Day in Bolivia” and “Recovery” were published separately, the first by SouthWest Writers in The Storyteller’s Anthology and the second by MWSA. 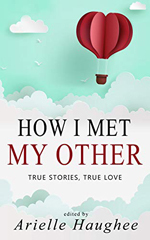 “Two Hungarian Doves,” Jasmine’s first historical fiction, appears in How I Met My Other (2019). In September 2016, Silver Birch Press published “Coast-to-Coast Nightmare” as a part of their When I Moved Series. Jasmine’s chapter “Terror” appears in From the Frontlines to the Home Front: New Mexicans Reflect on War, December 2016. 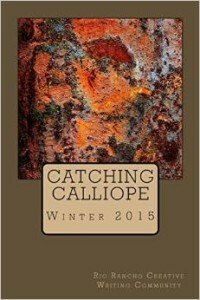 Catching Calliope and SouthWest Sage each have published short stories by Jasmine. One of these was awarded a First Place in an SWW writing competition. She also won an Honorable Mention in another contest. 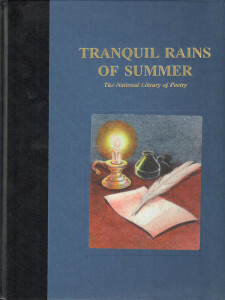 In 1998 she had a poem published in Tranquil Rains of Summer: The National Library of Poetry. Jasmine resides in enchanting Corrales, New Mexico with her husband and five cats, where she pursues her art and writing. An adventure story written from the perspective of a lost kitten. Kato is the cutest little gray/black striped young male cat with white paws and a rusty colored nose. He sets out to look for his missing sister. In the process he gets lost in the woods by a rushing stream. With the help of a rabbit, then an owl, and finally a coyote he overcomes many obstacles on his journey. Assisted by newfound friends, Kato is reunited with his sister and arrives safely at home. Kato’s Grand Adventure is perfect to read-aloud to children and grandchildren at an early age. It can then be a first chapter book for anyone with a 4th or 5th grade reading level. Original illustrations by the author. Learn about all the twists, turns, and fun of falling in love with this unforgettable true story anthology. People find the warmth of love in Antarctica. An obsession with blondes lands the big one. Squashing a guitar case leads to a blanket fort date. A soldier works to snag a sassy WWII nurse. A revenge date gets serious. Spaghetti reels someone in and they never go home again. And much, much more! 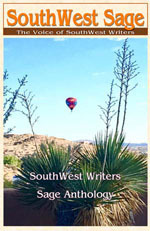 The “SouthWest Sage” is the award-winning monthly newsletter of the SouthWest Writers Association. Every issue features a host of poetry, articles, stories, essays, and writing advice. 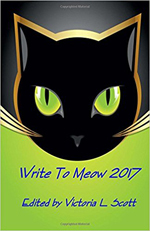 This Anthology is comprised of the best stories from 2016, 2017 and 2018 including: Writing Challenges, Poetry, Travel Articles, Science Fiction/Fantasy, Memoirs, Romance, Mystery, Desert Stories, Writers Unbound, Sage Advice. SouthWest Writers has over 350 members. Their motto is “Writers Helping Writers.” Many of the members are established award-winning authors who freely give advice and assistance to those who are new to the profession through regular meetings, classes, workshops, and conferences. For more information on the group go to www.southwestwriters.com. Take a peek inside the anthology and see why SouthWest Writers boasts many nationally known award-winning authors! We believe in the power of the pen. We believe that literacy is an important part of a successful life. We are committed to saving cats of every age, size, and habitat from death row, and we need your help. Nine lives, four paws and endless furry antics to entertain us. Cats are creatures of habit but what happens when those they love and trust cast them out? They end up in shelters or on the streets all across the world. Their habits become shaken and they must adapt. It is extremely difficult for them to learn to trust again. There are those that are willing to take the time however. Cats are calming, lovable animals that can purr their way into your heart without you even realizing it. If you take the chance to adopt or foster one of these incredible balls of fluff you will find yourself bending over backward just to hear their adorable meow and snuggle with them at night. They are work but they are worth it. It is too bad we don’t have nine lives as well. Perhaps then we would have enough time to repay all of the joy and love they bring into our lives. Unlike World War II, when the war effort was shared by all, the role of the entire family in a military deployment has been overlooked. Yet moms and dads serve as well, as do husbands and wives, sons and daughters, brothers and sisters, along with other loved ones. Military service is a family affair as the stories and poems in the volume testify. 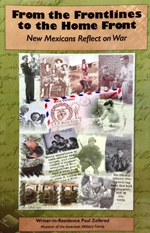 Written by New Mexico veterans as well as family members and others with close connections to someone in uniform, each reflection contributes to a rich understanding of what it means to contribute to military life by those out of uniform as well as those who wear one. “Kato’s Grand Adventure” is a children’s story about a lost kitten. It is a hero’s journey. Co-authored with her husband Jim Tritten. 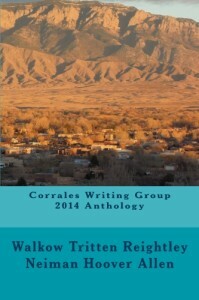 This anthology is a compilation of work written by members of the Corrales Writing Group, located in central New Mexico. It includes memoirs, humor, philosophy, fantasy, poignancy, whimsy and fiction that will make the reader laugh, cry, smile, and reminisce. Topics range from romance, to travel, multiple types of aviation, jokes, the meaning of life, sailing, village life, close encounters with wild animals, a burial, an automobile accident, a bedtime and a children’s story. 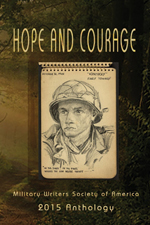 Military Writers Society of America Preserving Military History One Story at a Time Founded by Vietnam veteran and author W. H. (Bill) McDonald, Military Writers Society of America (MWSA) focuses on three main goals: writing for healing, education, and preservation of history. Each year MWSA publishes a collection of works submitted by the membership, including essays, poetry, articles, short fiction, drawings, and photos. This year, the theme is Courage and Hope. The Winter 2015 collection of Creative Writing from the Rio Rancho Creative Writing Community. Dozens of SWW members (aided by best-selling authors) donated prose, poetry and photos to produce this first-class anthology. Inside you will find a hard-hitting introduction by Anne Hillerman, daughter of beloved southwestern mystery master, the late Tony Hillerman; a killer short story by the thriller king himself, David Morrell; a short story that’s southwestern to the bone by Chuck Greaves; and a tale with a southern twist by SWW member Sarah Storme/Baker. Eleven short stories follow, along with five book excerpts, three memoirs, eight essays and nonfiction offerings, and nine poems—recommended for those not into poetry—complete this fine collection. The Land of Enchantment will come to life before your eyes in the original prose, poetry and photos presented in The Storyteller’s Anthology.